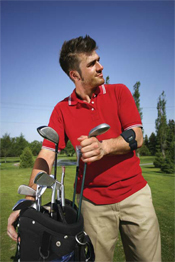 The IMAK Tennis Elbow Band helps relieve pain associated with tennis elbow, golfer’s elbow, forearm tendonitis and other types of elbow pain. 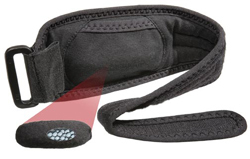 Tennis Elbow Band The removable ergoBeads™ Pressure Pad provides isolated pressure on the affected tendon for maximum pain relief while working or playing. IMAK ergoBeads are tiny plastic beads with a special smooth coating. They glide smoothly against each other so they easily conform to your body. This creates a massaging effect that increases your blood circulation -- promoting healthy muscle tissue.Washable for easy care. Latex free. One size fits most arms. Effective. Comfortable. Easy To Use. Stabilizes. Exercising. Daily Use. Following Surgery. Extra Support. I hardly write reviews. I purchased this for my husband who had been through so many tennis braces. He loves it. Its comfort is incredible. He wears it constantly. He works for a web design company and loves video games. So this has helped him so much. Its durable and so far, has lasted. It doesn't smell and is easy to hand wash. The pressure hits the spot. Effective. Comfortable. Easy To Use. 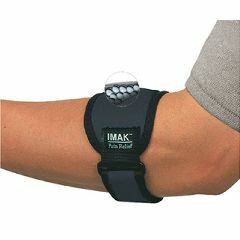 I have elbow pain...tendonitis associated with carpal tunnel. I have been using a compression brace, but the direct pressure of the beads seems to really help.